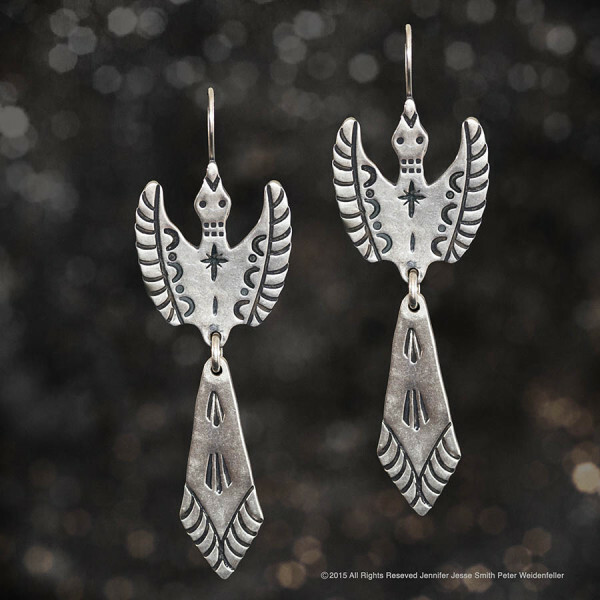 Tags: bird, Earrings, Jennifer Jesse Smith Jewelry, Native Jewelry, Soul Of The West, Southwestern Jewelry, Sterling. Sterling Silver with wing dangle 2 3/4 inches from beak to bottom wing dangle~ with JJS locking ear wire finding. Amazingly lightweight and balanced.